When I was still in Chiropractic College I had the privilege of being able to participate in two chiropractic mission trips. These trips were set up to give people of underdeveloped countries the opportunity to be healthy through the removal of interference to their nervous systems through chiropractic care. The first trip that I went on was in September of 2001, a week after the 9/11 attacks on the World Trade Centers. For this trip I went to Cusco, Peru. 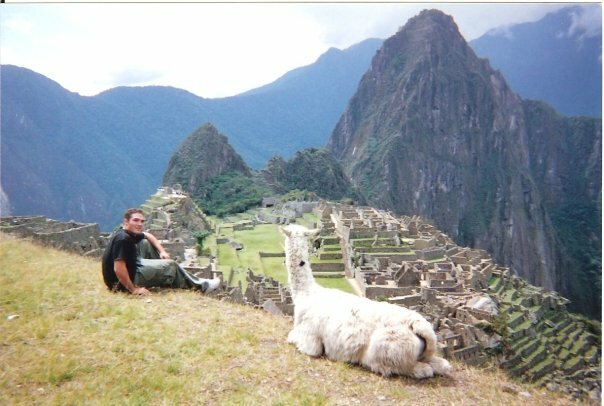 Chiropractors have been making mission trips to Cusco for many years, so everything was pretty well organized. We had a team of about 30 doctors who split up into 5 groups which were spread out throughout the city and surrounding region. For days we labored from morning to night with a short break for lunch in that high altitude climate. The people there were so appreciative and many had significant improvements in their pain and function from just the short time that we were there. My favorite part of that trip was when I and one other doctor were taken to an elementary school to adjust all of the children there. They were so happy to have us there, and I’m humbled by the differences that were made in those kids lives through removing dangerous interference to their nervous system. With growing and developing children, it is vitally important to have a nervous system that is completely free of interference so that they can properly develop and heal any injuries that they incur. The next mission trip that I was able to go on was to Bali, Indonesia in the spring of 2002. For this one, one of the doctors from the Peru trip asked me to arrange a group of students for the first ever chiropractic outreach to Bali. As it goes with a first ever trip, this one was a little less organized. We really had no idea what to expect. When we reached our destination in the center of Bali at an ashram, people were lined up to see us. It seemed like the lines never died down, as we treated more people, more kept coming. We worked as hard and long as we could in that intense humidity, and at the end of the day we had to turn people away and ask them to come the next day. The people there were wonderful, and actually had a significant different feel to their spines than the people in Peru. While both places had many sick and ailing people, in Peru the average spine was much more stiff and rigid, and in Bali they had much more looseness to them. It is all related to the different lifestyles and stresses. In each of these trips, thousands of people were able to be helped and I’m comforted knowing that they’re still going on today as Chiropractors sacrifice their time and money to make a difference in people’s lives!